Teamgate users can forward and attach any email to Teamgate in just a couple of seconds. 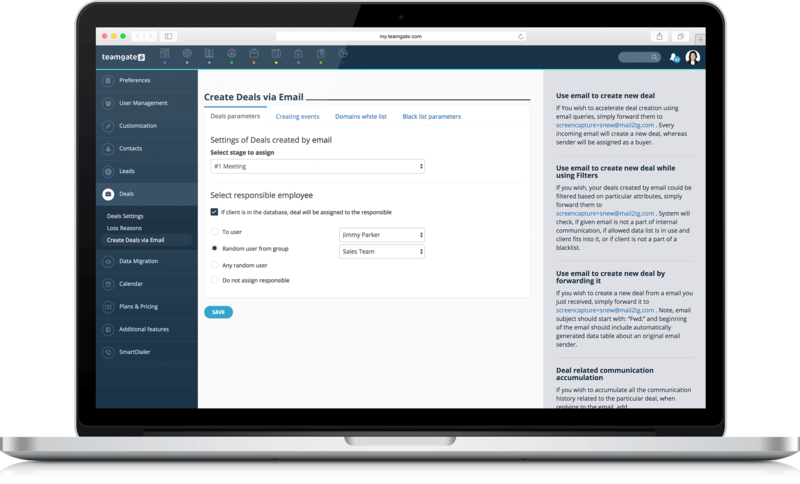 Integration with your email allows keeping communication history associated with a contact and storing every relevant attachment in the CRM. Moreover, you can save time by capturing deals quicker thanks to this integration. 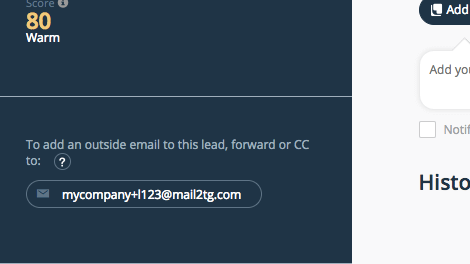 Connect your mailbox to Teamgate and get all your email requests as leads directly into the CRM. You can be sure that all communication with a particular lead is stored in the communication history. 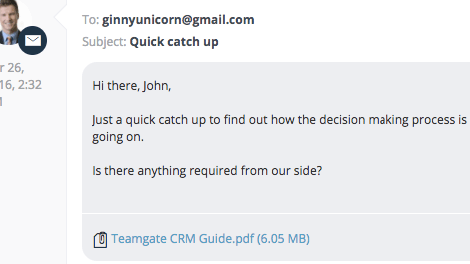 You can save time and capture deals quicker by forwarding e-mails to your Teamgate account. 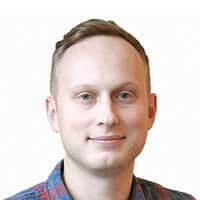 Alternatively, it is possible to configure your web forms so that when they are filled, an email is sent to Teamgate and a new deal is created immediately. 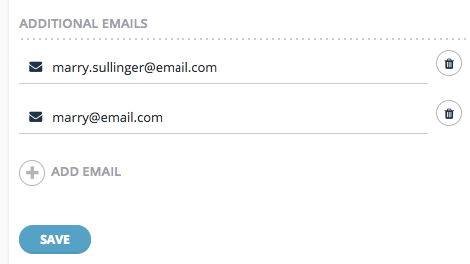 The same person can be assigned with a number of email addresses. 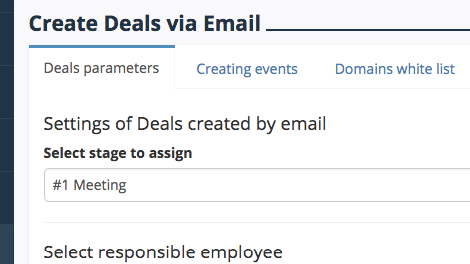 In case your sales reps use various email accounts, this feature can help to easily distinguish them from customers. Any document, attached to an email, is saved to the communication history and files sections. It’s a great way to keep exclusive files associated with a lead.